This is for grandson Derek's book. 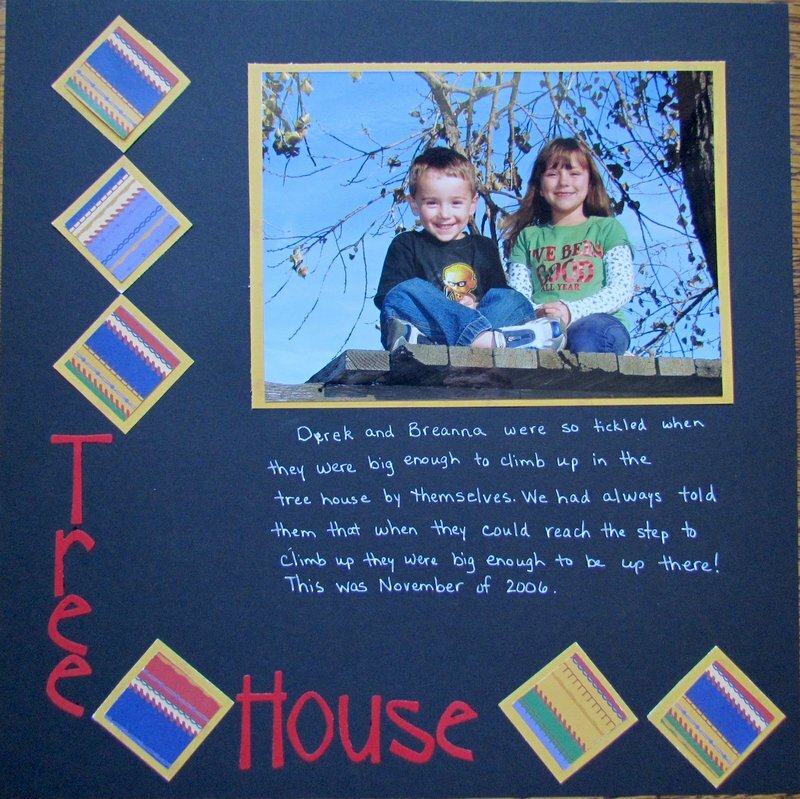 The photo is from 2006 just after they were both big enough to get up onto the tree house by themselves. The paper is from a Creative Memory kit called winnie the Pooh.